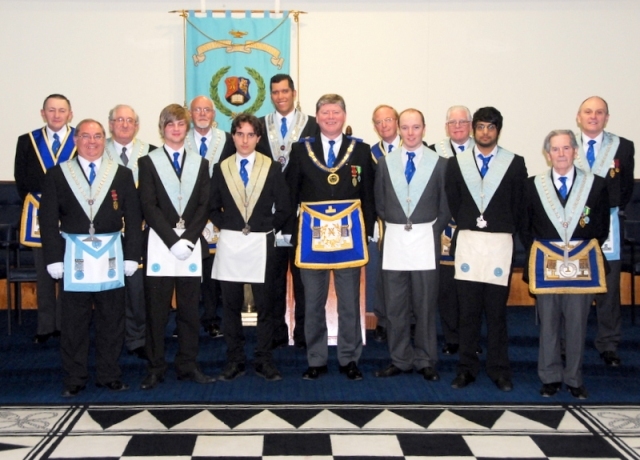 On April 18th 2011 We were honoured with the presence of W.Bro. Eric Rymer the Assistant Provincial Grand Master of Warwickshire and W.Bro. Michael Midgley Provincial Support Team. The opportunity was taken to have a group photograph of those present on the night, an extraordinary night due to date changing necessitated by Easter Monday clashing with Regular Lodge night. The photograph was kindly taken by W.Bro. Norman Blackburn. Posted in Group Photos on April 18, 2011 by admin.